Head lice are harmless, but they are still nothing to rejoice about. Despite all the parental efforts, every year about 12 million kids in America get affected. The infestation becomes itchy and sore. As a result of constant scratching, secondary infections can develop in some cases. Eradication campaigns have been trying to eliminate this little wingless insect, but to no avail. Head lice are easily transmitted, and most often leave their host when (s)he interacts with another person – hugging, touching, sharing objects. Young children, who are in close contact with each other during their everyday activities, are often the most affected group. Here you can find a simple home remedy that has been proven to be effective and that will take away the annoying symptoms once and for all. Listerine contains alcohol which is toxic for lice and suffocates them. 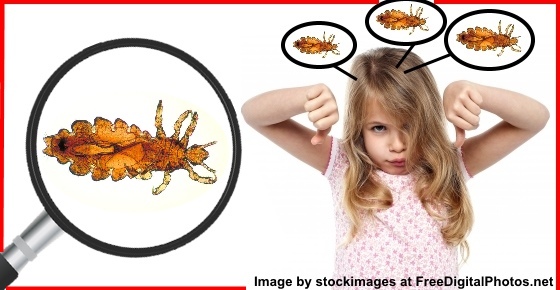 A study published in 2011 found that there is evidence that benzyl alcohol may be more effective at eradicating lice compared with placebo. Another study from 2010 talks about overuse of common lice treatments which has caused lice to become resistant to them and may result in potential toxicity. The researchers found that benzyl alcohol lotion 5% works by suffocating lice and there were no resistance issues. The participants who applied the benzyl alcohol lotion showed a success rate of 91.2% at day eight of the trial compared to only 27.9% success in the control group. (find here more surprising household uses for white vinegar) – There is evidence that the acetic acid in vinegar can loosen the glue that holds the nits in place so it is easier to remove them with a nit comb. A study from 1999 found that formulations containing 5% acetic acid, as well as acid shampoos (pH 4.5 to 5.5) and conditioners, in combination with a lice comb, can be helpful for removing nits. Another study from 2012 found that Quassia vinegar (which also contains acetic acid) has been shown to loosen the nits hold and enhance nits removal. You can make your own natural shampoo using Castile soap. Soak the child’s head with Listerine until all hair is completely wet. Gather the hair and put it in a shower cap or plastic bag. Let it sit for an hour or more. The child can carry on with the usual activities, just make sure the seal on the cap or around the bag is tight and all the wetness is kept at the scalp. If a child has been scratching prior to treatment, s(he) might complain of a burning sensation, but this is not dangerous. Listerine contains alcohol, eucalyptol, thymol, menthol, and methyl salicylate, which are toxic for lice, but safe for humans. Remove the bag carefully. You will probably see many dead lice inside the bag. Rinse the hair, so you get rid of all the Listerine. Douse the head with equal amounts of white vinegar and water, massage the scalp gently and apply the bags again. Leave it on for another hour. If your child has irritated scalp or red marks, you want to avoid putting vinegar on the scalp, as it may irritate it too much (or you can further dilute it with more water). Rinse the vinegar and then shampoo the hair as normally. This treatment might help make the hair thicker and shinier. Use the lice comb to comb out dead lice and eggs. Vinegar loosens the glue the females use to attach their eggs, so you can easily comb the eggs out. Lice don’t seem to like the smell of Listerine, especially the spearmint aroma. Put some Listerine in a spray bottle and mix it with water. Spray the hair regularly (for example, before your child goes to school), as long as the danger of re-infestation exists. Boil wash the affected person’s bedding and clothes to make sure you’ve eliminated all the blood-sucking insects. For other natural ways to get rid of lice, read my article: The Most Effective Natural Remedies for Lice (Based on Evidence). We have been treating our family of 4 with the listerine every night for past 3 weeks, vinegar weekly. My son (2) and I are the only ones with black specks coming out of our hair. We all sleep in same bed and I’m the only one that has awoke with bites on my legs. We check with black light for nits, haven’t seen nits, just black spots, sometimes they almost sparkle. What could the black spots be? Jess, The black spots are lice excrement. We have been battling lice for too long now, and I know far too much about it 🙁 So the listerine treatment did not work for your family I take it? I was going to try it , but now not sure.. It does work very well, for future use. I’m actually a 13 year old and used it. I did it by myself and it worked wonders! Got rid of lice in 3 days, even told my parents I got rid of them and they checked, and it worked. If the Listerine treatment doesn’t work for you, try the mayo. We were warned that lice can hold their breath for up to 8 hours so unfortunately the mayo treatment needs to be at least 8 hours (in other words..overnight). The combo of vinegar treatments to loosen the nits and mayo has been the only successful way we have been able to eliminate them. The mayo treatment has another benefit of making you dread the smell of mayo, thereby not using the fattening stuff on your food…lol. Can I use listerine (diluted maybe?) on my 9 month old daughter? She caught lice from someone at her daycare and I’m so frustrated bc I don’t know what’s safe to use on her. The olive oil didn’t work (she wouldn’t let me leave the cap on longer than 3-4 hours). What do I do?? Because your daughter is so young, I would use nit and lice comb on wet hair. Of course it requires persistence and the proper type of comb to do this. To successfully get rid of lice by combing, you should use a metal, not plastic, comb that is finely spaced and thin-toothed. SHAVE HER HEAD. She wont even hate you for it this young! Trying the Listerine and vinegar combo tonight as soon as I sprayed the Listerine on her hair you could see them little suckers running. Hi Julie, I really hope it works well for your girls. You can also have a look at my article about Effective Home Remedies for Lice (Based on Research) for more suggestions including prevention. Good luck! I’ve been going through the same thing and my 10 year old is sitting with the Listerine in her hair right now, the most important part is getting the nits/eggs out, or retreating every 6-7 days. If one little egg is not dead and hatches you get reinfested, I’ve been in exactly your shoes, having have spent over $200 on every kind of over the counter medicine they make. This seems to be working, make sure to vacuum and wash all her bedding in the hottest water you can, if she has any stuffed animals or pillows tie them up in a garbage bag for 1 1/2- 2 weeks. You have to be like a Lice terminator, it’s insane, but I totally feel your pain. I have gotten to the point of no sleep overs, no hanging out with their friends in their bedrooms, I’ve turned into a drill sargent, but it’s the only way. Good luck friend, it’ll be okay. Have found that a ten minute treatment of conditioner after application of Any bug killing treatment, then blow drying hair (with a clean stiff bristled brush) helped in getting the comb through fine (thin) hair with out the tangled knot of hair towards the end of the combed lock of hair. Eggs also came out a lot easier. Vicks Vapor Rub (or generic) works on also smothering and killing of bugs. Problem i am having is with school district saying that they only check and send home notices when they see symptoms on any one particlular child. Checking all heads in class room is embarrassing to children and thus to be avoided. Except i am battling this stuff constantly because of it. Leave listerine on for 2 hours and it killed them when i brushed my daughers hair they just fell out on the back of her shirt didnt find any that were alive worked like a charm ive tried just about everything and nothing seemed to work but this. I also put into spray bottle and use it on all our furniture and lightly spray on our heads to keep them away.i wish id heard if this sooner. When our children were young and this problem happened, we also steamed our rugs (wall to wall carpet then) and our furniture (from water we boiled on the stove). Another expense, but we tried to clean everything. Good luck to all. The key is to comb, comb, and comb again. I’m currently in the quest to eradicate the lice off of my head for the 2nd time in my life. I had lice in the beginning of June and used “Nix ultra” for Superlice, however I used it two times during that infestation- once on day 1 of noticing the lice and then I combed the crap out of every section of my hair being sure to press the nit comb flat against my scalp as I ran through each 2 inch section of my entire head (takes at LEAST an hour depending on length &thickness of hair). The combing took hours each day for the next 4 days. Then I did the nix ultra treatment again on day 4, this time my sister in law combed through &inspected each section of my hair. This took 4 hours…literally😖. But it worked 🤗💃!!! I continued to comb about an hour a day for the next 3 days, I stopped combing after that since I found absolutely nothing in the last 3 days. Here we are in October and I have it again.. this time I am sure it came from a new hair salon I brought my 2 yr old daughter to since she was the only other person I know who had it. I successfully got it off her head using Nix Ultra and combing, the following days I combed her hair with a nit comb in the tub WHILE conditioner was in her hair. I believe the conditioner in the tub while combing was what ultimately got them off her head. But I still have it and this time Nix Ultra did not work for me so now I’m trying Listerine. It’s a tedious and very long process but I have no choice. I cannot stand lice on mine or my baby’s head so I’ll do anything at this point. Sorry for the long response but precise directions are crucial in trying to eradicate these disgusting and painful parasites. Hope this helps and good luck everyone! I have found that lice do not like the smell of tea tree oil. I would put a few drops on my granddaughters coat collar when she would go to school. I also put some in our hair conditioner.